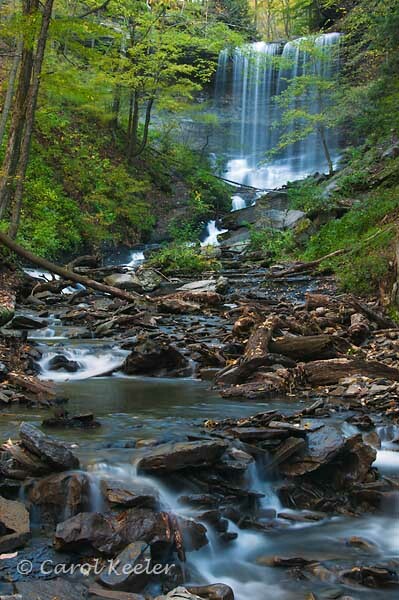 Tinker's Falls is fed by small streams and is usually almost dry with just a trickle of water. Our area had anywhere from 3" to 6" of rain in one day and boy did it make this water fall glorious! I've never seen it like this. It was certainly worth visiting. Some of the other waterfalls we visited today had too much water. This one was just perfect.